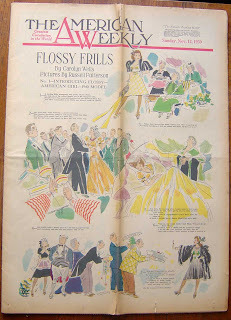 The very first Flossy Frills cover! These American Weekly covers are way too big for my scanner. Maybe scanned closeups should be added to the photos of these. But this will have to do for now.